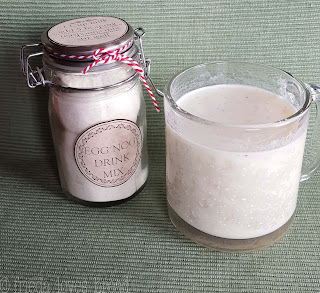 Frieda Loves Bread: Instant Egg Nog Drink Mix - Enjoy Year Round! 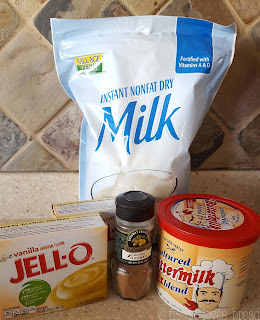 0 Instant Egg Nog Drink Mix - Enjoy Year Round! Do you love egg nog? Don't you wish you could have it year round? Although egg nog is a traditional, seasonal drink, it is only sold in stores from about late October through January. If you make it yourself, you can enjoy egg nog any. Time. You. Want. And it's gluten free, soy free, and can be vegan! 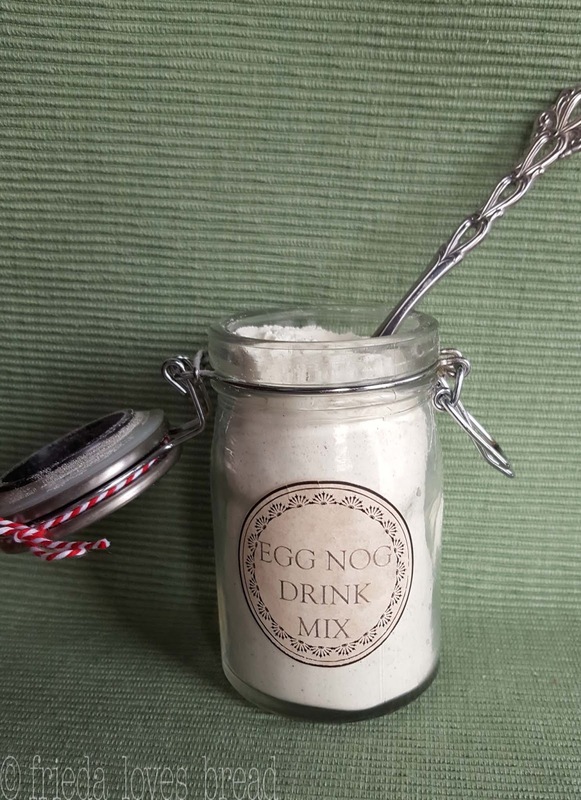 I have seen powdered egg nog online, but really wanted to make my own. What is great about a powdered egg nog mix is that you can add it to your milk of choice, yogurt, milk shake, or smoothie. It also makes a great gift. But boxed pudding doesn't use eggs to thicken; it uses cornstarch to thicken. Custards are made with eggs, puddings are made with cornstarch. I learn something new every day! Boxed pudding is gluten free, soy free and vegan! Saco Buttermilk Powder Blend is an ingredient that I have used often for many of my recipes. It is a blend of buttermilk, sweet cream, dairy whey, and lactic acid. It's great, as it is gluten free & nut free. 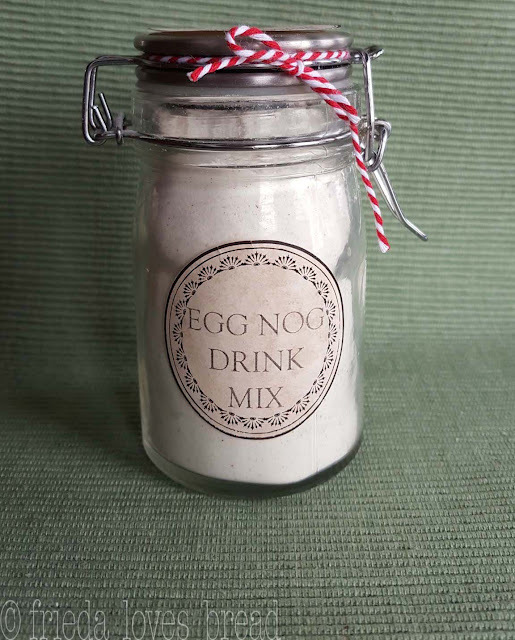 This helps bring a creamy texture to your egg nog, with a very slight tang. Instant Powdered Milk is what you will want to use for this recipe. 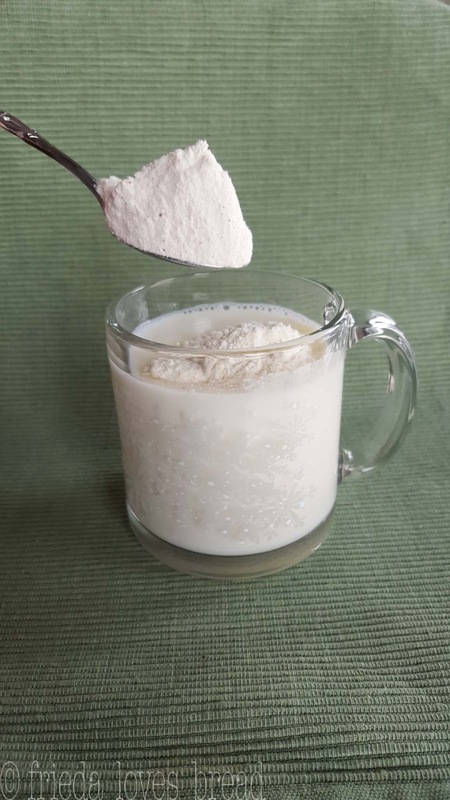 Instant powdered milk dissolves more easily than traditional powdered milk that needs hot water to help it dissolve. You can use regular or sugar free pudding, but it must be instant, not the cooked kind. Instant milk powder is not vegan, but you can try a vegan substitute for powdered milk. Ground nutmeg is traditional for making egg nog. If you have access to whole nutmeg, and a microplane grater, even better! 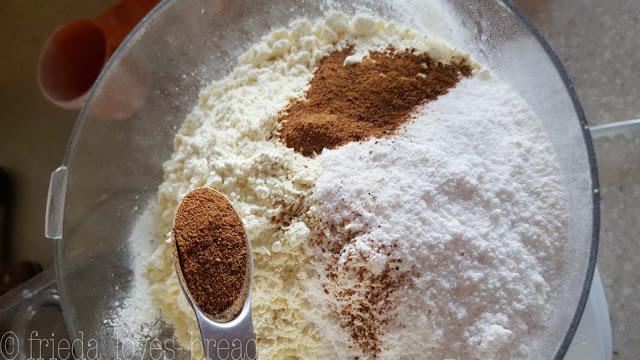 You would be amazed how wonderful freshly grated spices taste in cooking and baking. Granulated sugar is added to the mix, but you can use your choice of an alternative powdered sweetener. That's it - five simple ingredients is all that it will take to make this Egg Nog drink mix. Put everything together in a 7 cup or larger blender or food processor. Put your mix in a container, with a well fitting lid. You can use Avery.com to design some custom labels, download a template, or use stickers from a craft or office supply store. I found these round vintage labels here. 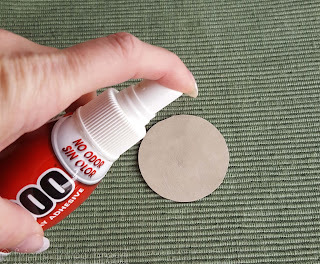 Use a light spray of E6000 adhesive to stick craft paper labels to your glass. This is the only stuff I have found that works. If you use too much, it will saturate the paper and cause it to wrinkle. Use a little or a lot, let it sit for a minute or two, stir and enjoy! Store in an airtight container in a cool dry place for up to 6 months. 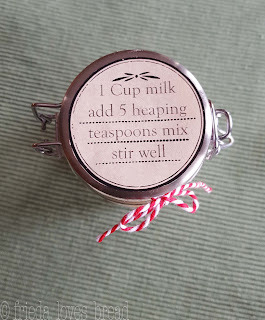 Stir the egg nog powder into the milk and let it sit for a minute or two, to help dissolve any lumps. Stir again, till smooth and creamy. You can use a blender or immersion hand blender to smooth out any lumps. Try adding egg nog mix to your yogurt, milkshake, smoothie, or in baked goods.